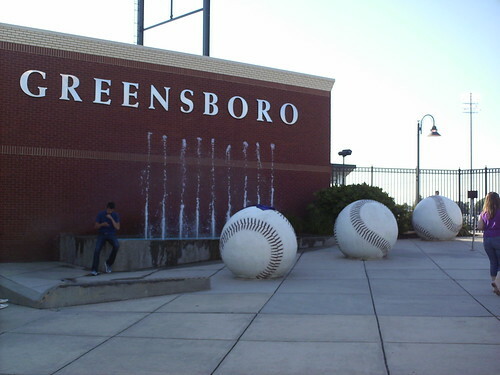 The plaza outside the outfield gate features a fountain and baseball statues. 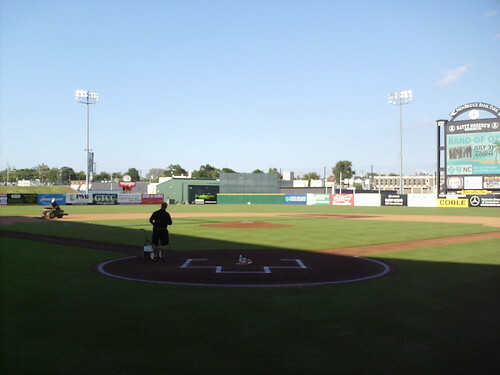 The view from behind home plate at First National Bank Field. 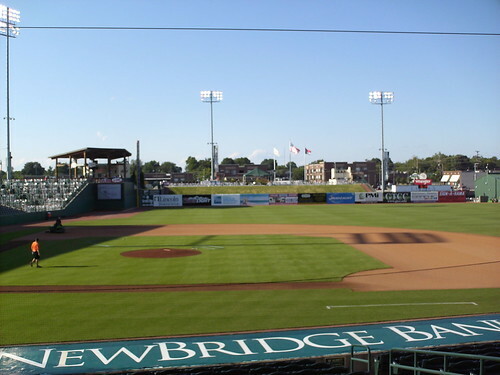 The view from down the first base line, looking toward the outfield berm. 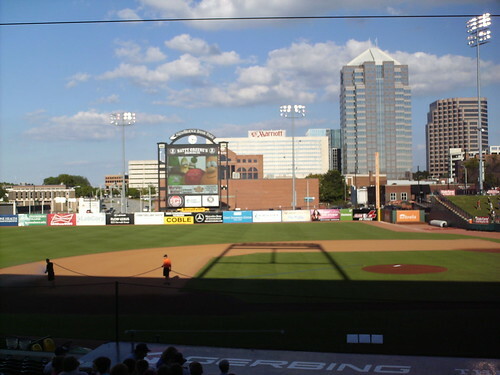 The view from down the third base line, looking out toward downtown Greensboro. 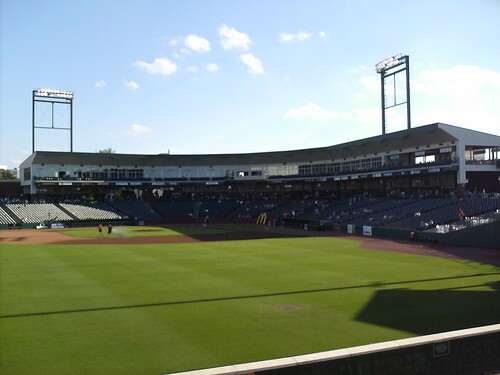 The grandstand at First National Bank Field, as seen from the outfield berm. 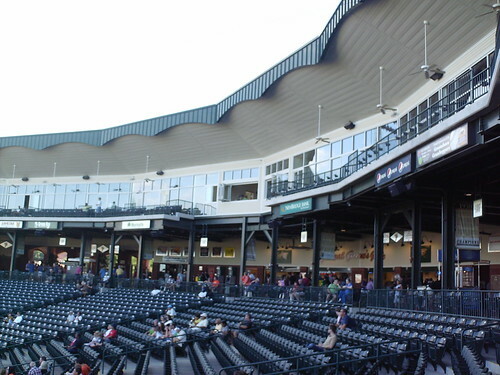 The roof extends out over the luxury box decks, providing fans to cool the box-holders off on hot North Carolina nights. 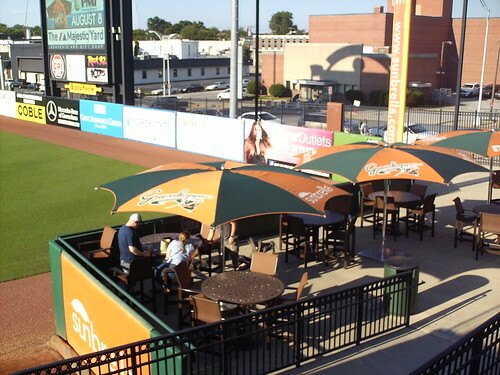 The Sunbrella deck extends out into foul territory in the right field corner, providing shaded picnic tables for fans. 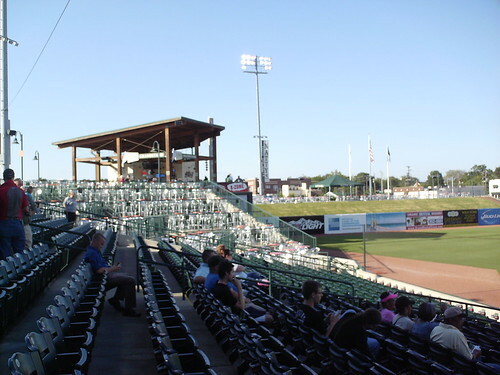 Group tabletop seating decks wrap around the left field corner. 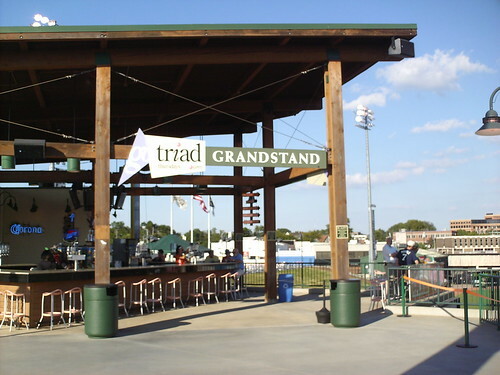 The GrandStand bar sits atop the left field corner of the concourse. The sign hanging from the beams lists the distances to the other Marlins affiliated parks. 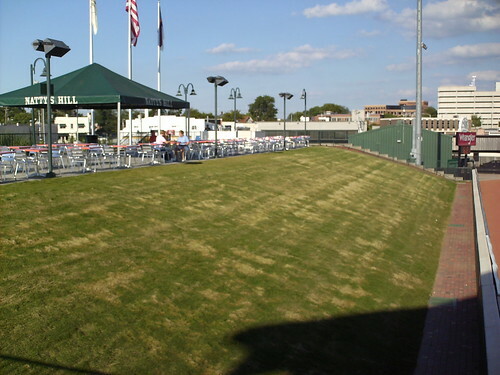 The Natty's Hill berm area, featuring picnic table seating at the top. 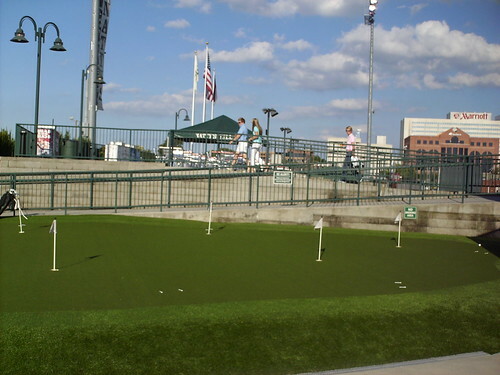 The park features a putting green on the concourse behind the GrandStand bar, a play area for adults and kids. 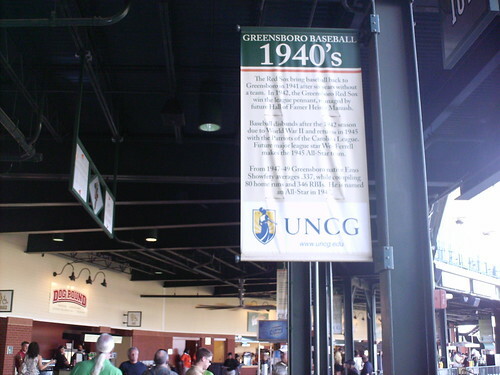 Banners along the concourse celebrate the history of baseball in Greensboro, including a look at the 1942 champion Greensboro Red Sox. 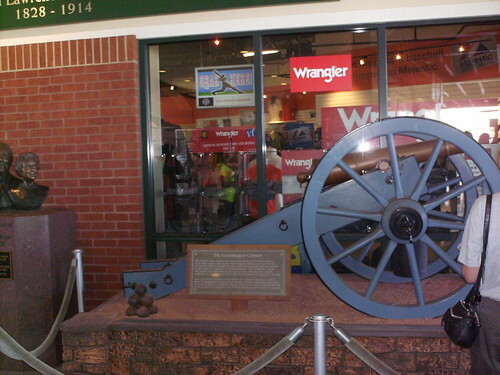 A "grasshopper" cannon sits next to the team store on the concourse. 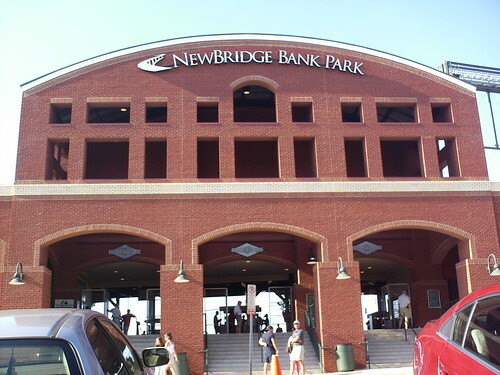 The team was named in part for the cannons that played a part in local civil war battles. 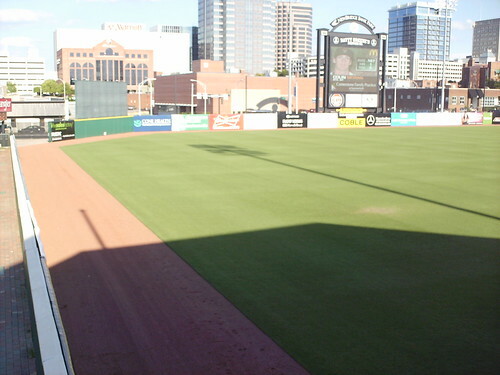 The turns and corners in the outfield fence as seen from the left field corner. 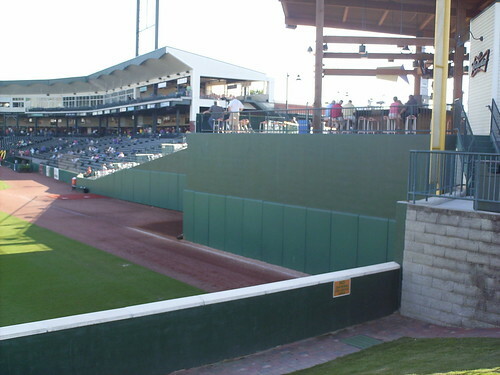 The bar area extends into foul territory, running right up against the line and leaving little foul ground at the foul pole. 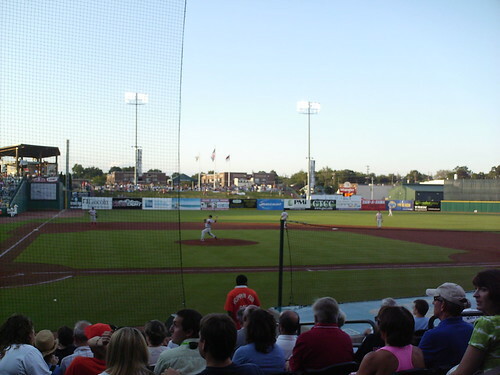 The Greenville Drive on the field during a game against the Greensboro Grasshoppers at First National Bank Field.